I feel like I’ve been hearing that a lot this year. Along with lawns littered with carved pumpkins, flying bats, and fake spiderwebs, Halloween gives access to colossal amounts of CANDY. This is the best time of year!! It’s a time when we’re saying, “NO,””Not today,” or “You just had some” almost daily. But, it doesn’t have to be all bad. If you’re headed to a class party, trying to spruce up your kids lunch options, or making a treat for your kids that isn’t PURE sugar, this list will help you out. 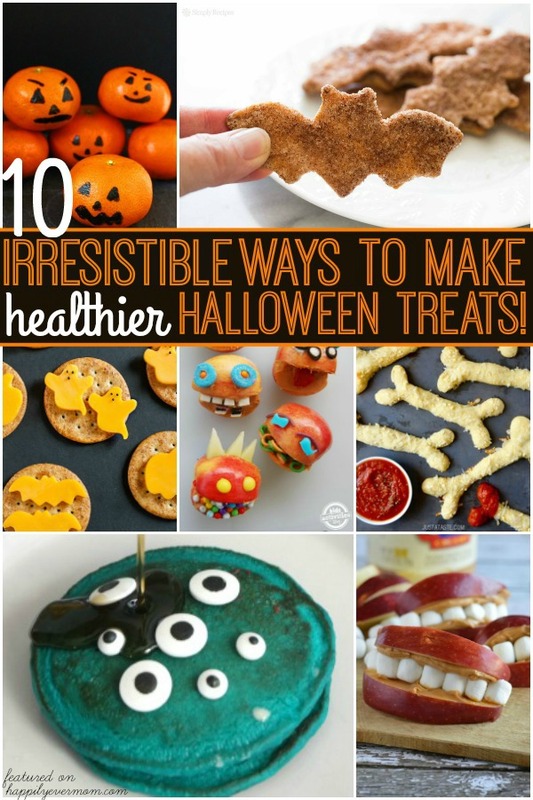 Here’s over 10 Cute Healthy Halloween Treats that Kids will love (well, “healthier” treats). With these treats, you’ll find yourself having to say, “NO!” a little less. Whether you love cheese and crackers or want to bulk up your kids intake of fruits and veggies, these healthy halloween treats have something for everyone. Halloween Treats: Bread & Cheese? Yes, Please! If you’re still in a monster mood, try making monster pancakes – they are a hit with kids! Make cheese and crackers with this spooky twist! 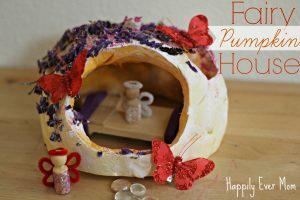 I love that this is so simple to make for my kids. | Peas and Crayons. 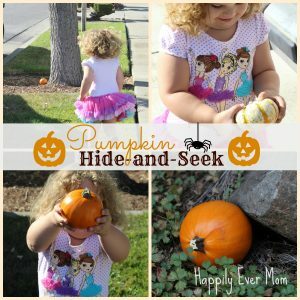 Grab your favorite milk or fruit juice container and let kids turn them into monsters! 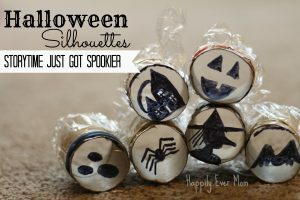 These are really fun to make for a class or school event.